I bought my PreSonus FaderPort about two years ago. It is a USB controller for use with digital audio workstation (DAW) software like Sonar, Cubase, or Pro Tools. I am generally satisfied with it. It works mostly as advertised. I recently reinstalled my Cakewalk Sonar v8.5 Producer on a different computer. Initially I had trouble getting the FaderPort to show up in the Controller/Surface list. But copying the correct 32 or 64 bit FaderPort.dll file to the proper Shared Surfaces folder in the Programs Files/Cakewalk folder, then registering the file with REGSVR32, does the trick. But that was the easy part. I couldn’t remember how to program the key mappings for my life. 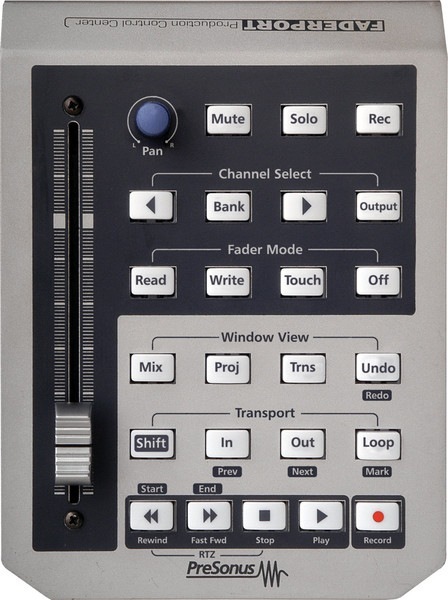 One of the main selling points of the FaderPort was that five of its keys could be customized to the user’s needs. These Custom Key Mappings were prominent in the ad for the device, but nothing on the web site mentioned the mappings at all. And if it was in the manual, I couldn’t find it. I searched everywhere for an hour, trying to remind myself how I’d accomplished it last time, two years ago. I decided to just play around with the controller options in Sonar. I finally looked at the Controller/Surfaces toolbar and then I remembered there was a properties button on it. I pressed the button and there were the key map settings I had spent way too much time looking for. If I were going to change the FaderPort in any way, besides mentioning the properties page that the installation includes with the FaderPort driver in the manual, it would to be able to switch to Track View using one of the customizable buttons. For whatever reason that option has been left out of the key mapping list, while a plethora of other useless objects were included. There are even mappings for other views. Including a mapping for the console view which already is a permanent map on another key. I wrote PreSonus and told them that once, and I got no response. It was probably because I use the FaderPort on Sonar instead of their DAW software, Studio One. That’s OK. I am just glad it works as well as it does. Next time at least I can find the answer to this problem on my own web site. Too bad PreSonus doesn’t have it on theirs. Just a mere and simple utterance of the word, 9/11, or September 11th, or any other various related terms can stir up a caldron of emotion – and it runs the entire spectrum. From steadfast defenders of the government’s official explanation of what happened on 9/11 to those arguing theories of a deep, dark, evil conspiracy. There is no shortage of passion. Regardless of your personal beliefs about what happened on 9/11 we can all agree (as we’ve been told over and over again) that 9/11 has indeed fundamentally changed the world we all live in and experience every day. This would all be well and good if there was no doubt about what happened. If the official story was rock solid and beyond reasonable doubt, we could all stand up in unison, proudly, pound our chests with righteous indignation and get the bad guys without a second thought. Unfortunately this is not the case and there are at least 43 highly trained, skilled technical and building professionals who after having examined the evidence not only have a reasonable doubt about the official story, say that there is absolutely no way that those buildings could have come down the way we were told that they did! Watch 9/11 Explosive Evidence – Experts Speak Out and learn from 43 brave men and women as they share with you their compelling and convincing professional expertise and insights about the events of 9/11. It’s not conspiracy, it’s not theory, its science and you owe it to yourself, your children and their children to open your mind, your eyes and your ears and listen to what these professionals have to say! Before clicking on the buy Pay Per View button below click this link and view the screen shot to learn exactly what you must do at the end of the Pay Pal check out process in order to receive your viewing link in a timely manner. Click here now. It always has really bothered me when someone would say they hated history in school. The nicest thing I can say is, that’s dumb. The other is that because so many people feel that way, we are doomed to repeat the lessons America has already learned, but also lessons that other nations have learned and sometimes had to re-learn. 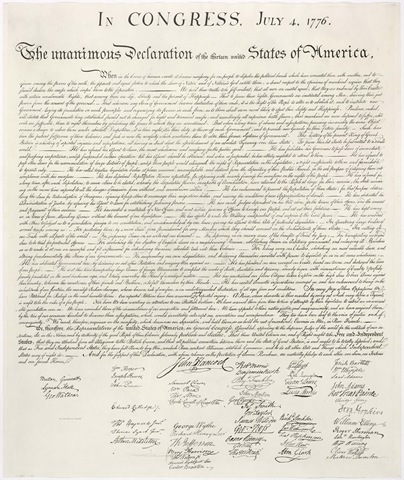 Yesterday my wife called me with a question about which U.S. president signed the Declaration of Independence first. Her company was having a contest featuring Independence Day trivia. The choices were George Washington, Thomas Jefferson, or John Adams. Only two future presidents signed the document, Jefferson and Adams. So that would eliminate George Washington from consideration entirely. The colonies’ (states) delegates signed first in the order of north to south. The signers signed the document from right to left. The only exception was John Hancock, the president of the Continental Congress, who signed first. The only reason I can think of for this procedure was a possible compromise to allow the northern states the honor of actually signing the document first, but it would appear to the British or any other interested party at the time, that the southern states had that honor. It probably was to keep everybody happy at the meeting. If you didn’t like history in the 21st century, It certainly would appear that the answer to the question, reading left to right, was Thomas Jefferson. Knowing the procedure in place, at the time, would not allow you to come to that conclusion though. As John Adams was from Massachusetts and Thomas Jefferson from Virginia, looking at a map would show Massachusetts north of Virginia and looking at the document will show John Adams’ signature on the upper right at the bottom of the page. Therefore the answer is John Adams. When my wife returned home, she told me that the “official” answer she was given was Thomas Jefferson. I suppose someone just looked at the document and figured that it was signed left to right and John Adams must have arrived late to the meeting. The world will not end because of that error. But it saddens me that July 4th in America is more about contests and mattress sales than remembering our country’s independence from the distant rule of kings, queens, and the Church of England. Many love the fireworks just to see something get blown up more than the symbol of our Independence they are. I only expect the situation to get worse in the future. 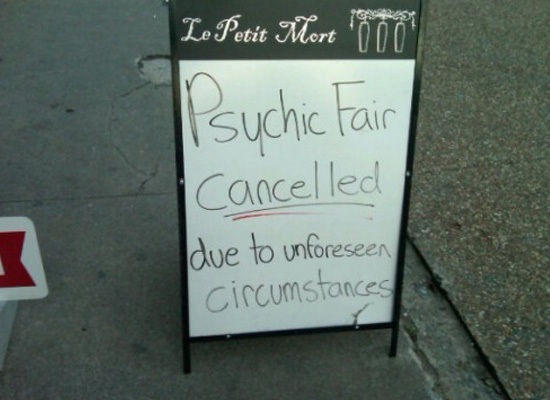 I saw this photo and it reminded me of a woman I knew named Sue, that used to work for the Psychic Friends Network. She was a nice person that, I’ll only say, was just a little odd at times. She had also taken a mystical sounding name and was using it when she talked to her telephone customers. The Psychic Friends Network was a company that did a lot of infomercials on TV starring singer Dionne Warwick in the 1990’s when the 900 number business was first getting popular. 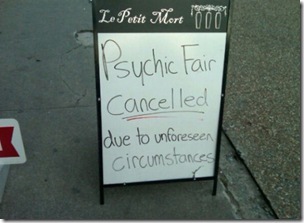 A few years later the bottom fell out of the Psychic Friends business and they closed and disappeared. Not long after that Sue came over to visit and told us that she had just been laid off from her job at Psychic Friends. I smiled wryly and said, “Didn’t you see that coming? If this had been an actual emergency, you would’ve been instructed where to tune in your area for updated information. I repeat, this has been a test of the Emergency Broadcast System. This has only been a test. My dad had been interested in electronics and always tried to repair our televisions when he could. 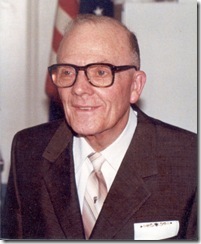 He had some miscellaneous hand tools and some test instruments including a vacuum tube tester. That was just enough exposure to make me think I wanted to be trained in electronics as well. 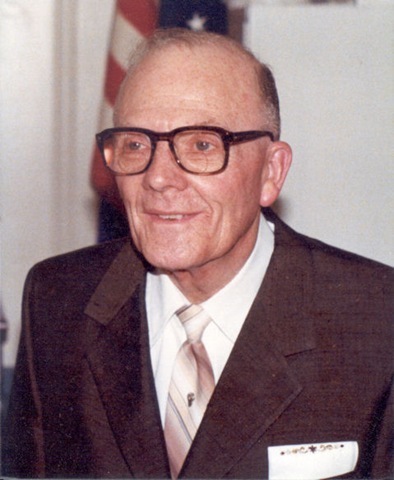 In the mid-1970’s, my school in London, Ohio had become involved in a joint vocational school (JVS) with a number of other local school systems. Each JVS program would last the final two years of high school and you would receive a certificate as well as a diploma at graduation. The stated purpose of this was probably to help train young people for the jobs of the future. I think the actual purpose, at least at first, was to get the deadwood out of the local school principal’s office and into the JVS principal’s office, at least for some students. I was somewhere in between. I was a bit of a trouble maker and terribly unreliable. But I did have some history of getting decent grades with little effort, when I wanted to. That was quite unlike most of the other semi-permanent participants of the after school detention program that I belonged to. Our local JVS was recruiting us as soon as the money became available and the school was being built. I remember the question I asked the recruiter was, would I have to cut my hair if I went there? I had been sent home many times the last two to three years by the principal because of my hair length. Luckily there was no rule, so I would be able to grow my hair as long as I wanted. About the same time, I was becoming interested in making a career as an FM rock radio disk jockey. I loved music. I read every rock magazine I could get my hands on. I wanted to be a rock star first, but a radio disk jockey if that didn’t work out. A friend of mine and I both had thought that the electronics program at the JVS was the way to make that happen. He realized after one year that it wasn’t the path at all. He went back to regular high school in his senior year and became a relatively famous radio personality. I stayed in electronics at JVS and I became a cable guy. I’m still working on the rock star thing. As the summer drew to a close I still had no idea that I would find a job in electronics before I actually learned anything about it. I had known Mrs. Francis (Mabel) for awhile. She had at one time also owned the State Restaurant. I had spent plenty of my lunch money there over the years. 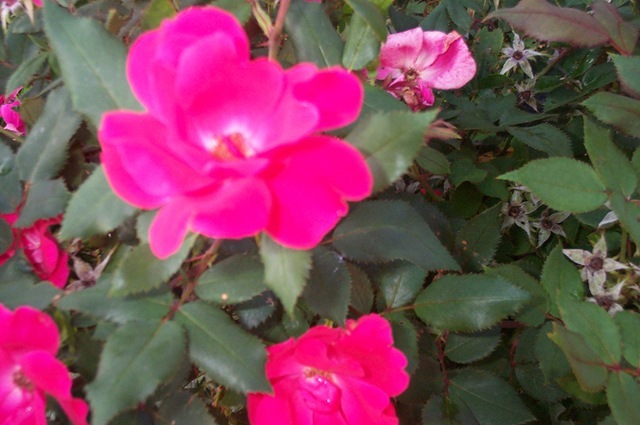 (See my post “Running From Rocks“) I would never say that she had been rude to me or actually even nice to me. She just gave you that look. She knew you were there, but she just wasn’t that excited about it. 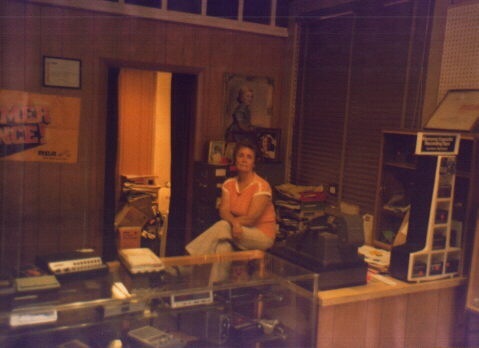 I had also been buying 45 rpm records at her radio/TV sales and repair business, Francis Radio and TV. It was just up the street from the restaurant and she co-owned it with her husband, Hobart. When I was in grade school, I only received a small allowance from my parents each week. I couldn’t afford record albums, but music singles on 45’s were within my budget. Buying records at Francis’ was more expensive than most of the other stores in London. You had to really want something badly to have to buy it there. In addition, Mrs. Francis would follow you around the store like she thought you were going to steal something. Once I went to the door of their store, just after 5 o’clock with my sisters and it was unlocked. We went in and immediately noticed the lights were out. I called out, but no one was there. I don’t remember us taking anything. We just walked out. I told Hobart about it once and he looked at me like he was a little stunned to hear that. It was as if I knew something that he also knew about. He said he had some unreliable person working for him then. 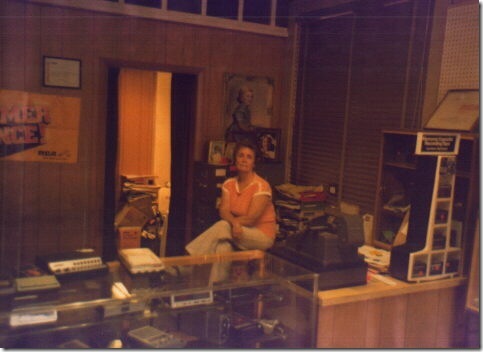 That was right around the time Mrs. Francis left the State Restaurant and began working in the TV shop with him full time. This a video of me on the roof of the Renaissance Center tower. It is the tallest building in Detroit, Michigan. It’s a wonder I wasn’t killed that day. This is a very funny Saturday Night Live sketch. It’s a tongue-in-check reference to the lies that the GOP, Fox News, and the health insurance cabal have been telling in the main stream media about Health Care reform.